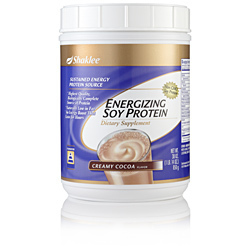 Shaklee Energizing Soy Protein is low-fat, non-GMO protein that contains all nine essential amino acids. 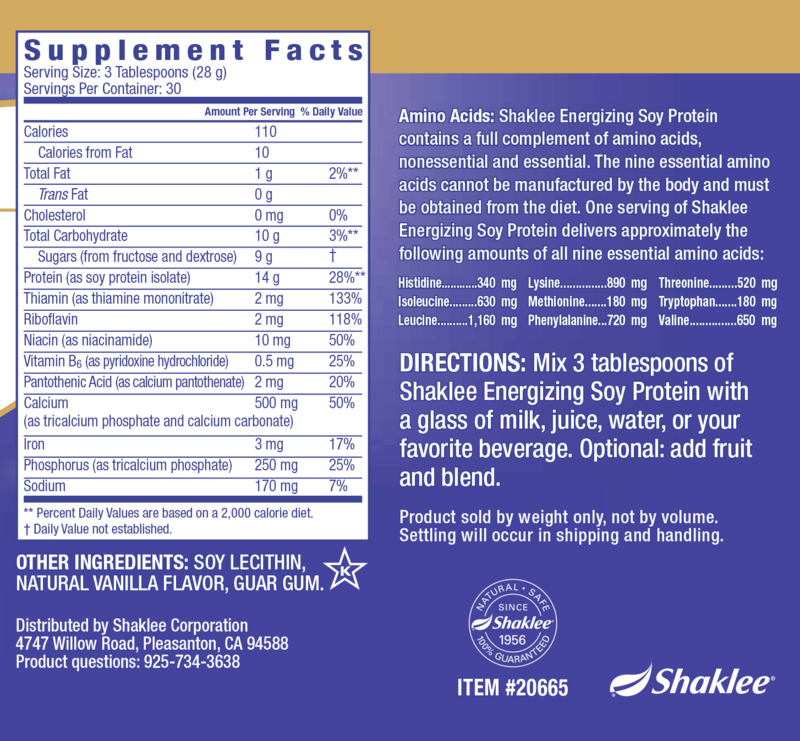 Provides 14g of heart-healthy soy protein and only 1g fat. Available in Vanilla and Cocoa. 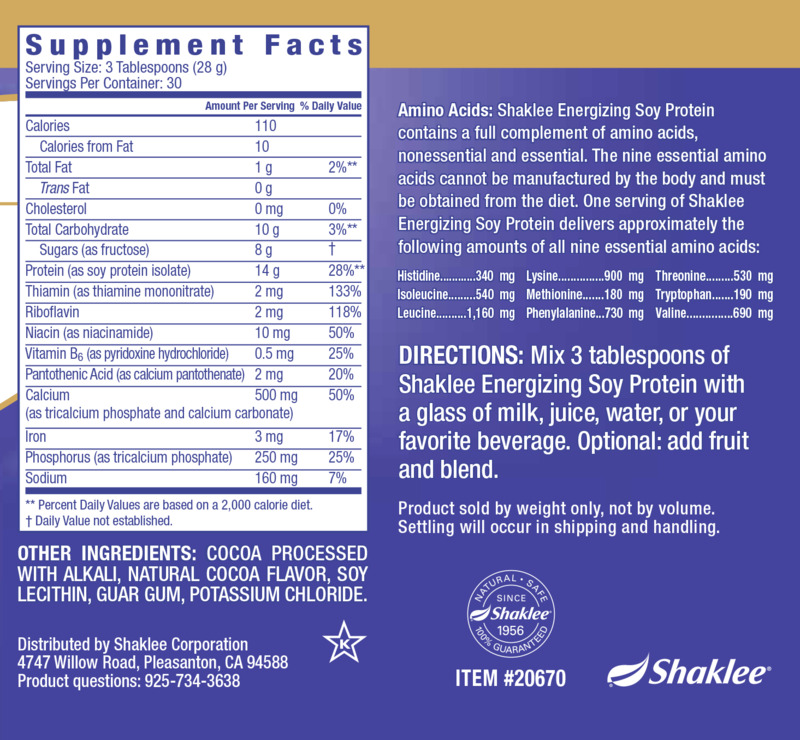 Mix 3 tablespoons of Shaklee Energizing Soy Protein with a glass of milk, juice, water, or your favorite beverage. Optional: add fruit and blend.